White, fresh off the release of his first solo album Blunderbuss, has written and recorded tracks specifically for film before — his Alicia Keys collaboration “Another Way to Die” for 2008 James Bond movie Quantum of Solace and his multiple covers like the old standard “Wayfaring Stranger” and “Sittin’ on Top of the World” for Cold Mountain (in which he also acted) — but it’s hard to believe that he’s never scored a feature film before given how many movies and television shows prominently feature White Stripes songs (and Dead Weather songs, and Raconteurs songs). The Lone Ranger has a May 31, 2013 release date and will begin filming in New Mexico soon. (You may have seen this jarring photo of Depp as Tonto meeting with Navajo community leaders recently.) 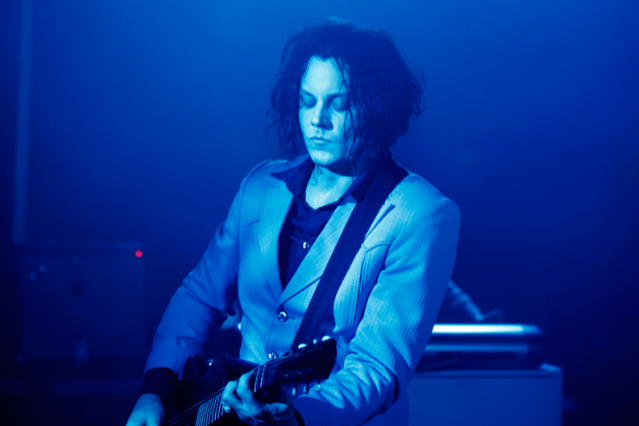 We’re not sure how much collaboration will go on between Marilyn Manson’s new buddy and one of the greatest artists of our generation, but it’s about time the Jack White of the film industry and the Johnny Depp of the music industry got together on something.